I would have liked to send my Rock Whisperer project at Mara Crags first, but that one is going to require more time and even more "calm assertive" energy then I originally thought. I haven't been keeping up with the local scene during the summer but I have given a good day at Cougar Canyon trying the new boulder problems and I'm intrigued. 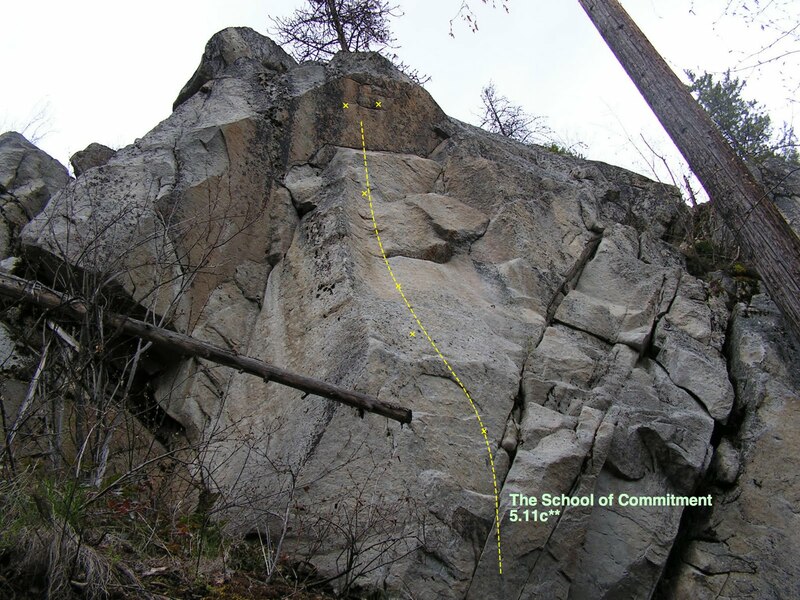 I have also heard of some bolting being done in cougar to open up some routes that were previously avoided due to run-out adventures. At the Aberdeen Columns, Jacob Doyle achieved an On-sight-first-ascent a C1 route originally put up by the Wizards of Aberdeen: Lyle Knight and Gary Wolkoff. Not sure the Grade or the name (I'm fairly sure its on the Aberdeen Wall) but being a C1 must be 5.11 someting(?). This On-sight/First Ascent is Jacob's second this year. *** It IS Noteworthy that hard routes are being sent in good style but it should still be noted that MOST of Aberdeen was climbed in this way. Good on the Region! If you are interested in finding climbing partners in Salmon Arm the Shuswap Mountaineer's Club is meeting up every Wednesday to climb around at the local areas and they are going strong. Email Gord Bose: bose"at"jetstream.net and ask to have yourself put on the email list. I'm Sure there were plenty of other new routes, firsts and other news I haven't heard of and I apoligize for not staying up to date. Either case It doesn't matter as long as you keep climbing.